Wonderful WWOOFers make life a joy! 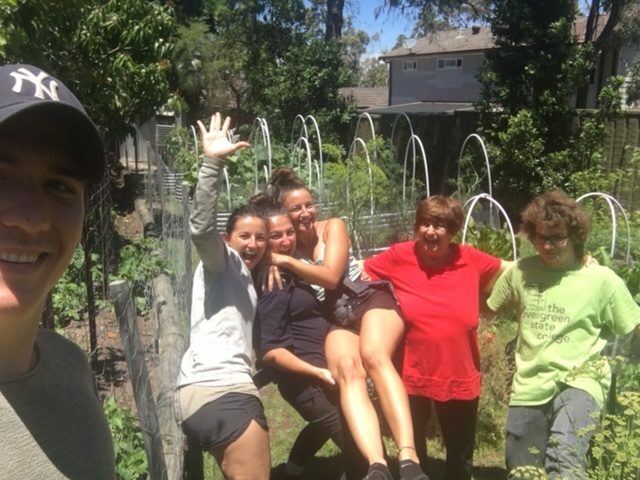 Helene Nathan has been a WWOOF Host for 4 years and delights in her WWOOFers. Helene is about to farewell her latest volunteers and has asked us to share her story of their stay. Pictured above with Helene are Bastian, along with his girlfriend Bettina, and her two sisters Sarah and Alexandra, who are from Austria and Ben is from the USA. Their visit has been another absolute delight. Helene says her garden is just immaculate and the food Bastion loves to cook is the best food she has eaten! All are lovely, respectful and willing helpers who applied the skills they had learned at previous hosts to her garden with skill and care. All are great young people who are a joy to Host and fun to have around. 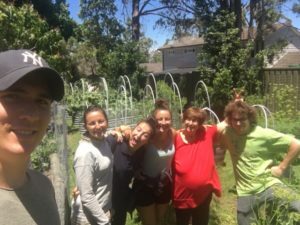 This was Ben’s first WWOOFing experience and he was lovely to have around. Helene will miss their company but is looking forward to welcoming her next WWOOFer in a few days time.